These puppies are current on shots and deworming according to the age. Every effort has been made by Seller to insure pup's health. Puppy has been recently examined before the departure and appears fully healthy. a) The Buyer must notify seller of any genetic defect immediately. b) A written statement as to the genetic defect must be provided to us from Buyer's veterinarian. c) A written second opinion from another veterinarian must be provided to us from Buyer. d)The puppy must be spayed,natured,picture must be shown of it and vet phone number,contact e-mail address must be provided. e)The buyer must return the pedigree of the puppy. 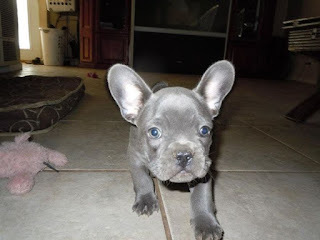 f)After these guidelines are followed, if there is a genetic defect present we will provide a replacement puppy of the same value, color and purchase price within 12 months. - Hip dysplasia - severe case, requiring surgery to return pup to an ambulatory state. Must have X-Ray and 2 opinions from 2 unrelated vets. If imported, pup must be positively identified on X-Ray; chip number must be present on film. - Spinal, heart, pancreas, kidney defects of a severe, life threatening nature. (Imminent paralysis, heart problem that is life threatening, chronic pancreatitis). This guarantee does not cover: Cherry Eye, umbilical hernia, inguinal hernia, loose hips, loose knees, infertility, allergies, bacterial infection of any kind, fungus, parasitic infection, hypoplastic trachea, respiratory infections, kennel cough, demodex, tail abnormalities, stenotic nares, cosmetic issues, Buyer's ignorance, neglect of incompetent veterinarians or anything not included above. We will not cover any death for any reason if pup dies under anesthesia. Seller will not be responsible for any medical expenses incurred. Buyer is aware that owning a puppy means trips to the veterinarian and understands that he/she will be responsible for all payments. Any physical problem which is or could be the result of injury is not covered under this guarantee. It must be an indoor dog. All items covered under this guarantee are by replacement only. No refunds in part or full will be given. Buyer is responsible for all the needed paper and transporting costs on the replacement puppy from Seller. No replacement puppy will be given if the puppy has been bred, or euthanized without Seller's permission. Replacement puppy will be mutually agreed upon by both parties and will be of comparable quality. It is understood that the replacement puppy may not be from the exact same parents of original puppy. The Buyer does not maintain preventative health care of the puppy/dog, including to inoculations, internal and external parasites and heart worm preventative medicine. Buyer understands and agrees to these conditions of sale. This warranty is only intended for original owner and is not transferable.